What are your standards for choosing summer t-shirts? 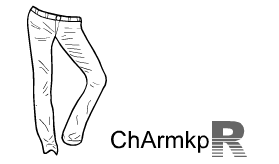 What kind of t-shirts you are going to wear in this summer? In the same time choosing your favorite styles, basics but chic styles as well as those popular wearing, you should still consider whether they are comfortable for you to wear or not in addition. 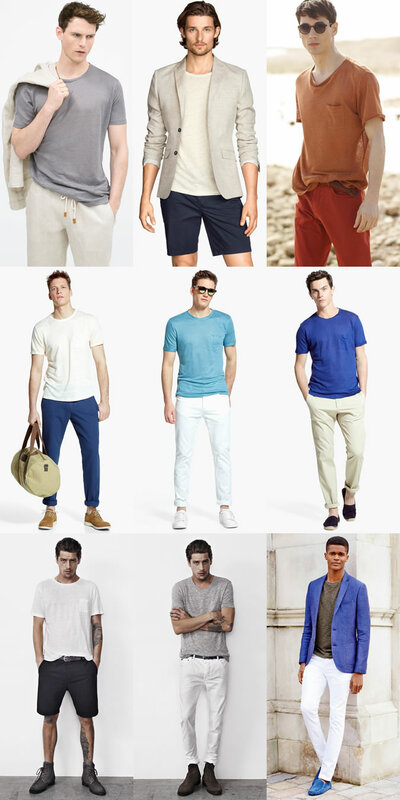 Therefore, I would like to give you some guides for you about buying mens tops in this summer. 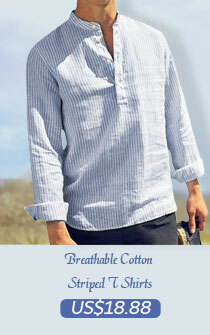 Linen clothes have a good function on adjusting temperature, antianaphylaxis, electrostatic prevention and antibiosis. According to that they have good absorption, they can give you dry and cool feeling all the time. Therefore, shirts made by this material are very suitable for people to wear in hot summer, particularly for men who sweat more and much easier in summer. Ordinary men seldom wear long shirts in their daily life apart from those hip-pop style young people and super stars. However, in this season, long t-shirts have already become the essential for stylish men to show chic looks. Among fashionistas, long shirts become especially popular in this time. Short-sleeved shirts are surely your essentials in summer, of course. Except for common t-shirt, polo style, shirts with button decoration to show artistic impressions, V-neck shirts and so on are surely your good choices. In this season, simple style arouses a great popularity indeed. Different kinds of fashion wearing in white are filled with the street. Therefore, it is necessary for you to have this basic white. Wearing pure color shirts may make you feel monotonous. Printed mens designer t shirts are going to survive you. Floral printed shirts can certainly bring a passionate and heated summer to you!